Want to craft your most useful FAQs yet? 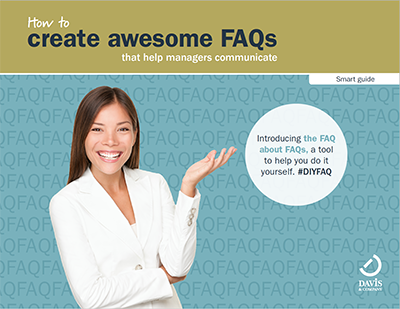 This smart guide offers advice to help you ask great questions, write clear answers and make it easier for managers to communicate. The guide is quite interactive too! As you read, be sure to click around to expand the content and view examples for each topic.